Tarmac Sportz is pleased to announce that a variety of Xtreme Clutch products are now on the website, ready for you to have a good browse through. When you need racing-level gear changes and durability, Xtreme Clutches are where you need to go. These clutches are designed and developed in-house and vigorously tested to ensure a high quality product, exceeding requirements for long-term performance, wear and drivability. Xtreme Clutches cater for a range of applications, with the entry level Stage 1 Clutches, designed for street cars with a little extra power, Stage 2 Clutches for high power street cars and track cars and the Ceramic and Carbon Race Series Clutches, designed for track cars and extreme power applications. The clutch is the thing that connects the engine to the wheels - quite important if you want your car to do more than just be a pretty face. When you’re looking to substantially increase the performance and overall grunt of your car, then the team at Xtreme Clutch is the one to go to. They’ve got decades of experience and bucketloads of passion for making your car perform at its very best. They make all of their products in-house and make use of high-tech testing machinery to ensure quality, safety and reliability in everything they make. Here at Tarmac Sportz, we respect and appreciate this rigorous quality control and we’re proud to sell you performance clutches from these guys. 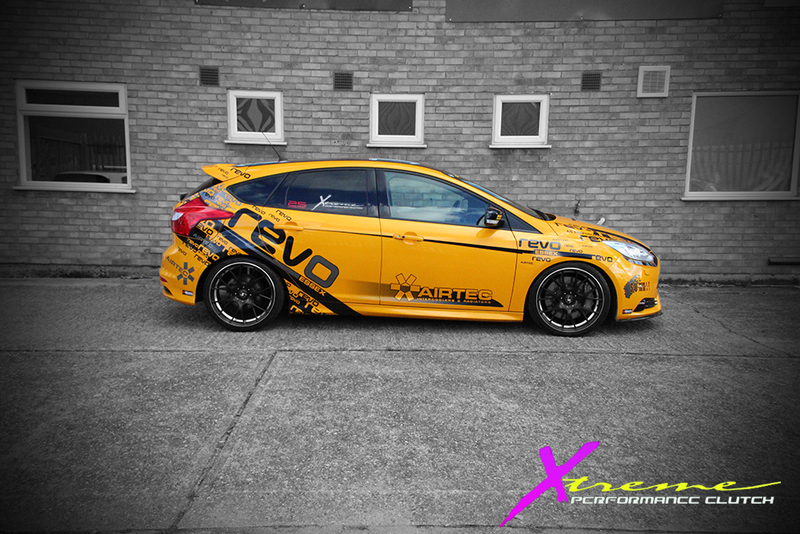 Xtreme Clutch has always had close bonds to motorsport, the frontline of research and development in performance car components, and this has given them the experience and knowledge to develop better and better clutches. Parent company Australian Clutch Services has been a proud sponsor to many large motorsport teams, such as Nissan Motorsport, and Xtreme Clutch has had heavy involvement with teams at the Toyota Sprint Series UK. This is a fantastic range that sits very comfortably in our catalogue of performance car components. 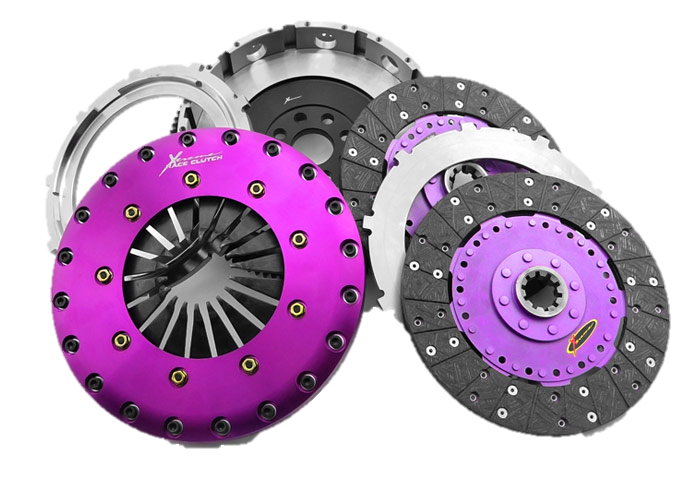 Xtreme Clutch understands the need for versatility in their clutches, that’s why their range offers options depending on what your vehicle is going to be doing. Stage 1 clutches are designed to be used for performance street use and towing. They use an upgraded pressure plate and organic friction disc, which mean higher clamping pressure to deliver higher performance, without sacrificing normal driveability. Perfect for performance cars that you also use for commuting. Stage 2 clutches are even more extreme, offering the upgraded pressure plate, combined with ceramic friction disc to deliver blistering performance. Stage 2 is designed for street and track racing, where the temperature tolerance needs to be higher and the clutch is going to be subjected to more aggressive driving. Stage 2 is not recommended for daily driving. In our catalogue, you’ll find clutches for a huge variety of different makes; BMW, Ford, Honda, Mazda, Mini, Mitsubishi, Nissan, Renault, Subaru and Toyota. No matter what you drive, you’ll be able to upgrade it with an Xtreme Clutch.